Calling all readers, skimmers, lurkers, and commenters! For all of you who have stumbled across my blog and have taken a peek for the first time and for those who regularly keep tabs on my cuisine consumed- I would like to know! I am curious to know who reads and enjoys this blog and would like you to leave a comment here on this post and on you favorite post so far to let me know how I'm doing. As much as I like to write, I'm not doing this blog just for myself, I'm doing it for you! So please reciprocate the love! I always enjoy hearing from fellow bloggers/bakers/etc.! Also if you've tried a recipe of mine, I'd love to know how it went! I went to The Willows with Randy a while ago with one thought in mind... To preview it as a possible place for our rehearsal dinner for our wedding next year. Because we may book the place, our meal was complimentary. I had eaten there only once before and didn't really pay much attention to the food, so I was very gracious for the time to closely scrutinize the dishes. The ambiance and surroundings of the restaurant are amazing. 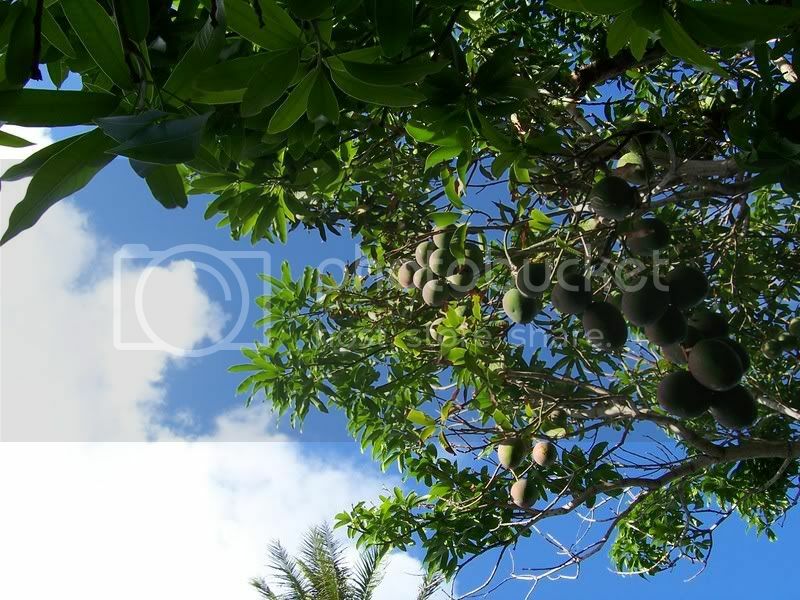 The moment you step inside you are no longer in the busy University area of Honolulu, but are transported to a place where tropical meets Asian, and where lush waterfalls and streams meet brightly colored foliage. It truly is a place for aesthetics and if I were to book based on atmosphere, I wouldn't have a second thought. There is even a chapel where people get married- At the restaurant! Randy's favorite was the jumping fountain that sprays water vertically out of the cement, 8 feet into the air, in patterns and designs that are random. I have been told children love to run through it and get soaked. My favorite was the small barge like platform in the middle of the koi pond. It is a special seating area for no more than 10 but gives one the feeling that you are floating down a serene river. Unfortunately though, the food was hit and miss. 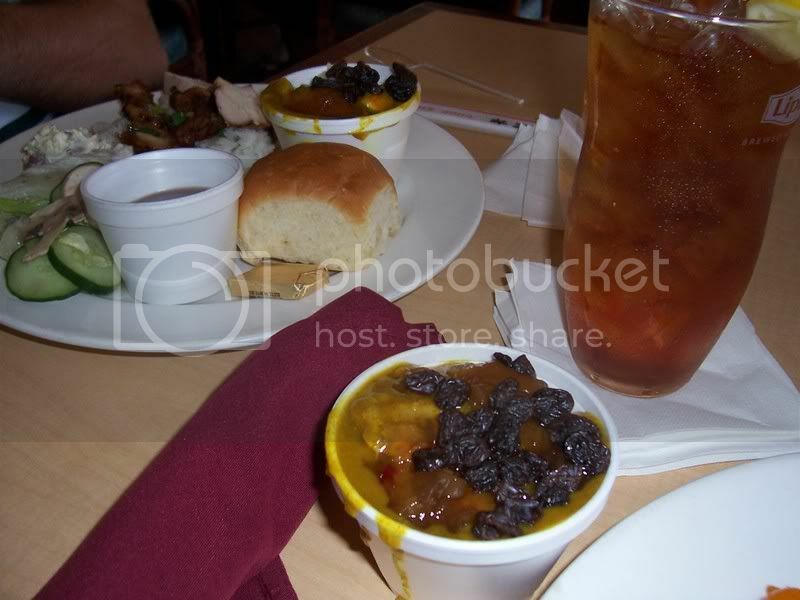 I had high expectations from everyone about the food, but I found myself somewhat disappointed. We went for the weekday lunch, a limited buffet compared to the dinner buffet spreads. I liked the salad spread and I headed there first. I really enjoyed my three choices from there, shown in the upper left corner of my plate are the Bean Sprout Namul, a tomato salad, and what seemed to be like a Greek salad. Though it mentions online that the Greek salad comes with pita bread, I didn't see any, but that didn't matter much. The salad was lettuce, chick peas, cucumber, onions, tomatoes, and feta cheese with a great Italian-like dressing. Come to think of it, that was probably their house salad. But it sure had a lot of ingredients and was really good! I was really looking forward to the quality of the Hawaiian food because many of the wedding party (Randy's family) will be from out of state and will have never tasted Hawaiian food. This is what my decision was banking on, and I have to say I was unimpressed and disappointed. Poke (raw fish salad) is one of my favorite foods and the poke here didn't have much kick to it in regards to flavor. 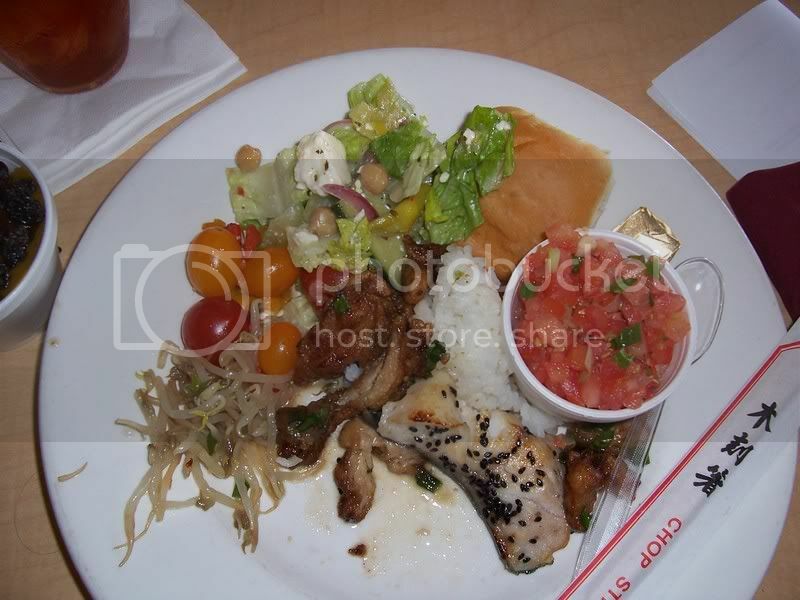 Also, the raw fish didn't look too fresh in it, maybe because it had been sitting out in the buffet line for a while. Let's just say I enjoy the poke made from local supermarkets better than this one. The flavor of the lomi salmon was a little "off" as well- meaning it didn't taste like the traditional Hawaiian style I love. I enjoyed the poi and the savory lau lau (chicken wrapped in taro leaf and slow cooked), and if all the other Hawaiian foods had been up to par with them I would have been happy. Another downfall was the Kalua Pig (salted smoked pork, essential to Hawaiian luau food). The pig didn't have the almost-too-salty-to-bear flavor traditional of the dish and that is what makes it signature- the fact that you must eat each bite with a scoop of rice. Finally onto the desserts! There were bite sized pieces of several different choices that all were average if best. (sorry no picture) I am such a dessert person that its sad when I don't feel compelled to eat all of the serving I take, and that is what happened with most of the desserts on my plate. I was excited to try the fried Haupia (coconut custard, almost the consistency of creamy thick jello), but found it flavorless and unappealing. The bread pudding with pineapple was pretty good in flavor, but somewhat dry with too much bread and not enough pudding. The soft serve ice cream machine was out of order (which made me sad-that's usually my favorite) and I wasn't impressed with any of the following: chocolate mousse cake, tiramisu, and cheesecake. My favorite on the dessert tray was the fresh fruit, interpret that how you will. I'm glad the lunch was complimentary because unless I was treated by someone else, I'm not sure I would go again. Though the setting was lovely and a few dishes shined, the majority was not the quality I had in hopes for my future in laws and their first taste of the islands. Hey everybody, I know I'm a day late, but I still have a special 4th of July treat for you to make. So, you can wait until next year, or make it with all the strawberries and blueberries you have left over from your flag cakes. This is a little patriotic, a little healthy, and very tasty! You can substitute frozen berries for fresh ones but make sure they're 100 percent still frozen when mixing them in, or you'll get colored batter. The cake will still be a small bit doughy around the strawberries because of the moisture, but its not too bad and it's barely noticable. If you want to fix this, maybe leave the cake in a little longer than suggested but keep checking the consistancy after every few minutes so you don't overbake. 1) Preheat oven to 375 degrees F. Mix flour, baking powder, and salt in medium bowl. 2) Cream softened butter and sugar in a large mixing bowl until light and fluffy. Beat in egg. 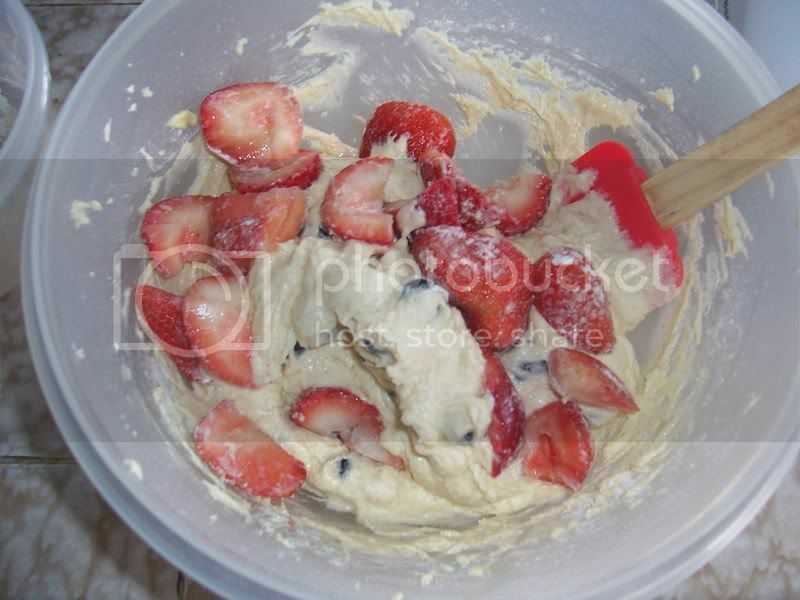 3) Place blueberries and strawberries in an additional small bowl and dust with a small amount of flour mixture. Toss to coat. 4) Add remaining flour mixture and milk alternately to creamed butter mixture, mixing after each addition. 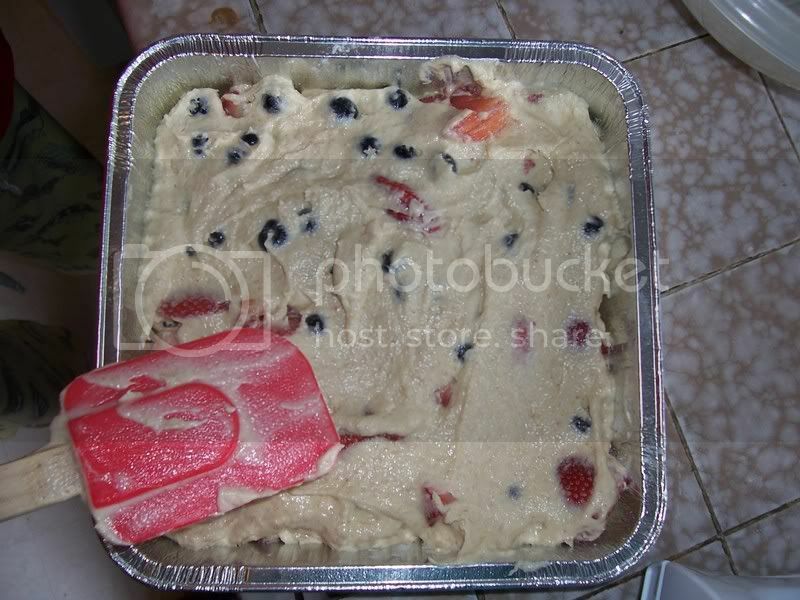 Gently fold berries into batter. 5) For topping, mix flour, sugar and cinnamon in a small bowl. Cut in butter until crumbly. 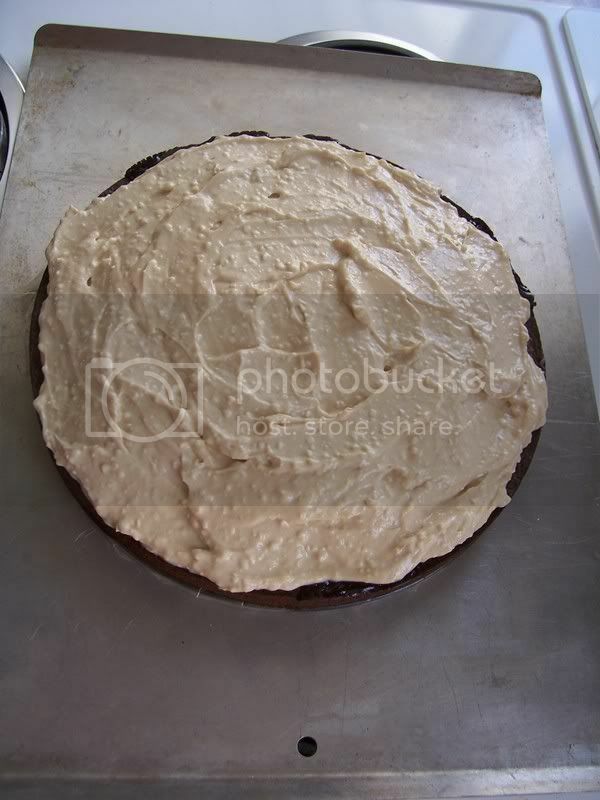 6) Spread batter into a greased and floured 8 in. square baking dish. Sprinkle topping over batter. Bake for 45-50 minutes or until topping is golden brown and toothpick comes out rather clean. Cut into squares and serve warm. Who Makes Tiramisu Without the Alcohol? For a friend's birthday a couple months ago- yeah that's how behind I am. 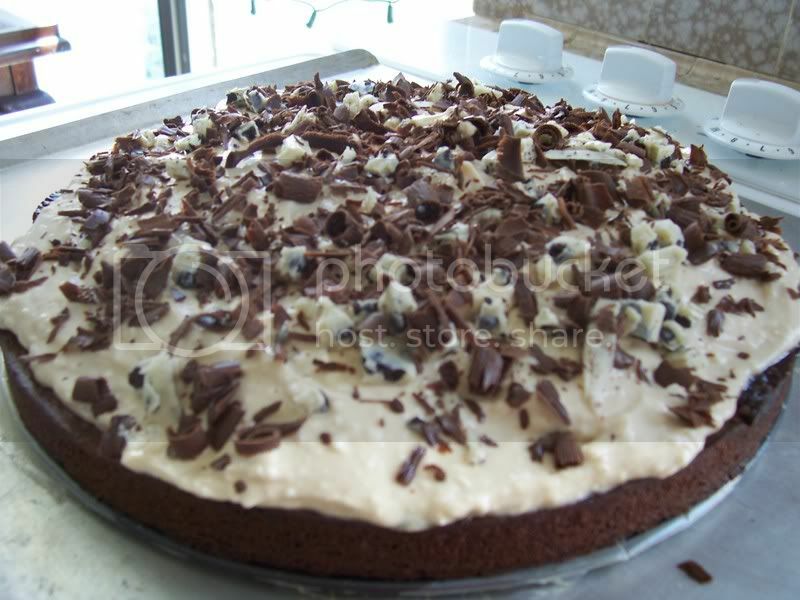 I chose to make a chocolate tiramisu cake (because that is one of her favorite desserts). But when I got into the recipe, I found that it didn't call for any alcohol! What? That's the whole fun of tiramisu! (I'm a big fan of the Tiramisu at Bucca Di Beppo that is so alcohol laden that you get up from the table almost feeling tipsy.) So I decided to experiment. I added about a shot (maybe more) of kahlua to the molten lava cake mix and a tablespoon of rum to the "frosting". I got this recipe from an All You April issue - and it was awesome! Not too rich for my tastes but it was for an 18 year old's birthday so some of them thought it was a little too rich and alcohol heavy. Maybe for an adult new years party it would be good, or you could omit the alcohol all together. I baked it towards the longer amount of time suggested so the outside of the cake was a little tough, like the crust of a brownie. For a softer cake and more molten inside, I suggest using the shorter end of the baking time window. 1) Preheat oven to 350 degrees F. Grease an 8-in springform pan and line bottom with parchment paper. 3) In a medium bowl stir together cream cheese, coffee, sugar, and rum. Spread onto top of cake. 4) Hold white chocolate bar and dark chocolate bar over cake and using a vegetable peeler scrape shavings onto cake. If chocolate starts to melt stick it and the peeler in the freezer for a couple minutes. Refrigerate cake until ready to serve. Gettig to know you....er me! 1- What is the best and worst thing about living in Hawaii? The very best thing? Everything! Well at least the environment/surroundings. I think Hawaii is one of the most beautiful places on earth, and about as close as you can get to heaven on earth. It has everything you could want from a snowy capped mountain, desolate desert area, to lakes, jungle, and of course the beach! I live for the water and because I grew up only 2 blocks from one of the most uncrowded, crystal blue beaches on the island, I'm spoiled and will not be able to survive very far from the ocean (which is why I'm moving to LA and not Idaho). Included in the surroundings are the people- the perfect mix of every culture brought together in paradise to make one big melting pot. And what comes out of the melting pot? Food! The selection here is mind blowing from authentic regional cuisine to unique local creations like the manapua (pork filled steamed or baked bun) and loco moco (see earlier post). The worst is being on an island that is the most remote island (farthest from any large land mass) in the world. That means our gas and food prices are high (because they have to be shipped here). When I was growing up, my biggest complaint was that no bands that I liked ever made it out here, and that holds true today. A few of my many favorite musical groups have made a once in a lifetime appearance (to put on a concert here) but it's rare. I was a pop-lover (back in Jr. High) and I had to wait 8-9 years to see the Backstreet Boys live in concert. Other than that though, my complaints are minor. I get a little itchy to travel every so often, but I wouldn't change my HOME for the world! 2- Everyone is getting this question, just because I wanna know! If you were told that you could only have 5 foods and 1 beverage for the rest of your life - what would they be? 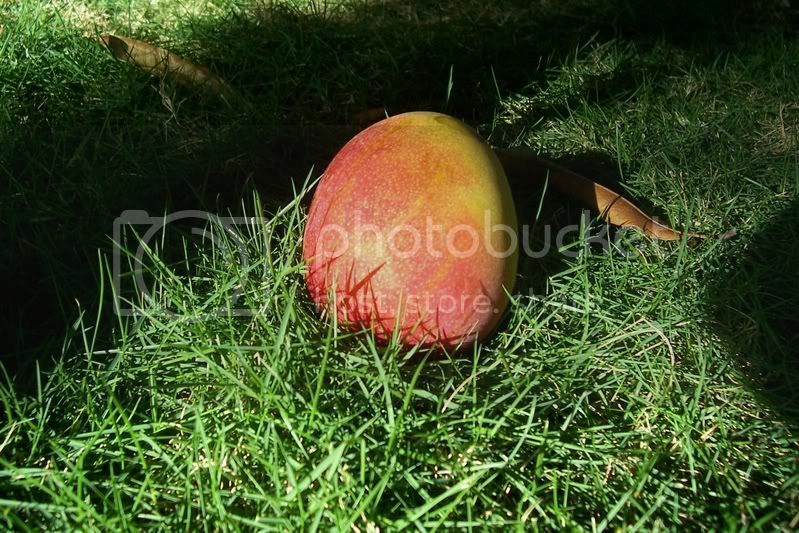 The first would have to be ice cream....this was always named as my favorite food growing up. But don't make me name a specific flavor. If I had to pick it would be one of these: Gold Medal Ribbon (from Baskin Robbins-simple never tasted so good), coffee fudge ripple, Birthday Cake Remix (from Cold Stone Creamery), or either Fish Food or that Oatmeal Cookie Batter with Chocolate chunks (from Ben and Jerry's). The next food (I'm assuming I can name dishes as well) would be a perfect Waldorf salad with mixed greens, crisp apples, sweet grapes, crunchy candied walnuts, feta cheese, and a great dressing. My two favorite places for these salads are Dave and Busters and California Pizza Kitchen. I would have to include my step dad's Eggplant Parmesan, that I have yet to perfect. He is Italian and his grandparents are from Italy. His recipe is a family tradition and I still haven't figured out how to slice the eggplant oh so thin that it falls apart in your mouth. Oh, so heavenly! I would have to show my local side and mention my love for raw fish. Either as sashimi or in the local sea-salad poke, it is a great weakness of mine, and if I were to live on only these foods, I would have to have some protein somewhere. I love a nice cut of fresh ahi sashimi straight or on a ball of rice as sushi with a nice shoyu (soy sauce) based sauce to add a touch of flavor and saltiness. Seared is alright, but I could clean a plate of the raw sashimi in no time! I have to name another sweet-since I am a dessert gal...and that would be chocolate anything. Actually, I would just eat it plain- but none of that white or milk stuff...that's too sweet for me to eat plain. Give me a semi sweet, or a 70% cacao dark bar of good quality chocolate that will soothe me with just a taste. Dark chocolate has me by the soul and it won't let go. For a drink, I'm going to be practical and name something that is a necessity for the last food listed, milk. An ice cold 1 or 2% glass of milk is perfect to wash down a rich bite of Godiva. I grew up having a 'sip' of milk to calm me before I would go to bed at night as a child (I think it got started when my mother was weaning me), but ever since then I've had a love for this wholesome drink. And I could add this to my first choice in food (ice cream) and get a milk shake...another favorite drink of mine! Okay-for the record, if I wasn't being practical, and chose an alcoholic drink, I'd pick a Bellini with Chambord on the bottom. 3- If you got to work for the Food Network, what would your show be called and what would it be all about? I not only love the Food Network, but I also love the Travel Channel, so it would be a mix of Samantha Brown's Passport shows, Taste of America with Mark DeCarlo, Giada's Weekend Getaways, and Rachel Ray's Tasty Travels. That's to say I would love to get paid to travel to different places and taste the local cuisine, review the areas, and learn about the cultures and their food. It wouldn't be as crazy as Bizarre Eats with Andrew Zimmerman, but I would like to step out of my comfort zone. It would also give me an excuse to travel and wander past the tourist friendly sights and get to know the people of the area. I don't know what it would be called though, maybe something like "Tasting the World with Anuhea".....hehehe. 4- Tell us your worst baking/cooking disaster, and your biggest success. Well since this is so fresh in my mind, I'll share with you what helped to make my day yesterday so horrible. I had been given a bag of Chinese candied coconut and had wanted to do a variation of a coconut and lime cupcake including the coconut pieces in the batter and adding a little bit of coconut rum to the frosting. It was a great idea.....only, I decided to improvise on a recipe I found and instead of using 1 and 1/2 cups homemade yogurt, I used 1 cup and added 1/2 a cup of sour cream. I definitely learned my lesson. The cupcakes came out dense and almost rubbery and stuck to the paper cupcake cups when I tried to taste one. The taste wasn't bad, but the texture was and I was so upset that even though my fiance said he liked them and would eat them all...I had already wasted 2 1/2 cups flour and 1 1/2 cups sugar and would not waste more to attempt and fail at frosting as well. Though I've added too much butter or too little sugar in other baking experiments...disappointments like these are as bad as they get and I haven't had a huge "disaster" yet (knock on wood). When I cook (since I've only been doing it for about a year now), everything that goes right feels like a giant success because I'm so new at it, but then it also feels like I shouldn't take credit because I'm just following directions. I think one of my biggest successes was when I made crepes for the first time (that's a post that will come in a few days). From what I heard, it was hard to make the paper thin pancakes, but I found it amazingly easy. 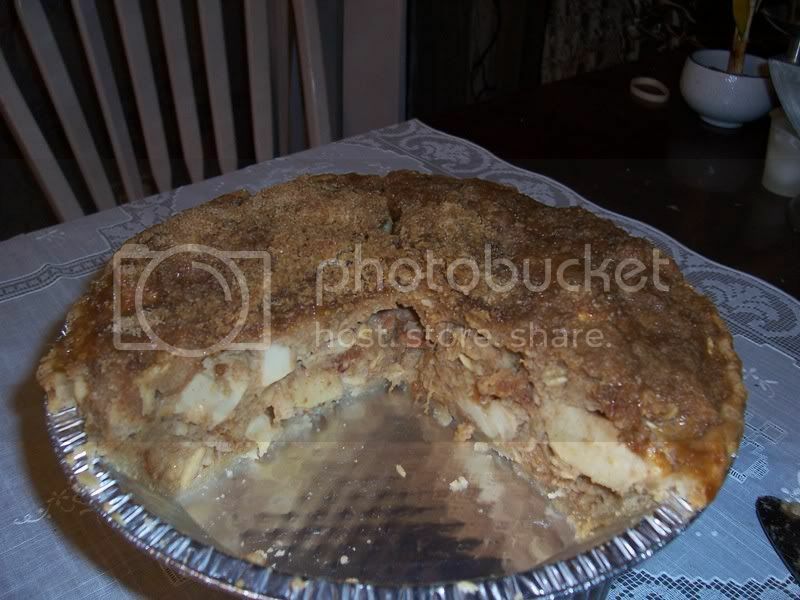 Another thing I was exceptionally proud of was my Black Bottom Apple-Banana Creme Pie since I made that recipe up myself and it tasted so amazing. 5- You work in the travel industry, what has been your favorite place you have ever visited, the worst? And where would you like to go that you haven't? I would want to visit Alaska, the Caribbean, South America....to name a few. But the thing I most want to do is tour Europe. I would love to spend a couple months just exploring France, Italy, England, and most of all Scotland and Ireland. I love foreign accents (they make me melt), and to be immersed in so much beauty and culture would be a dream of mine. 2. I will respond by emailing you five questions. Beware, I'm not shy of asking personal questions! Please make sure I have your email address. 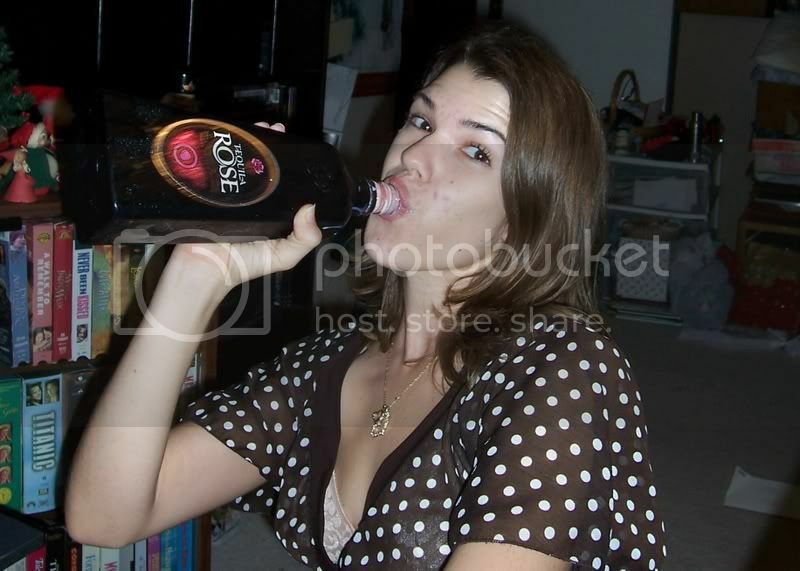 I love alcohol that doesn't taste like alcohol, and some of my favorites are the cream liquors. I'm sure you are all familiar with Irish Creme and some may know the delish new flavors Caramel Creme and Mint. Not many people know of the following though, and I hope that they will become favorites of yours as well. 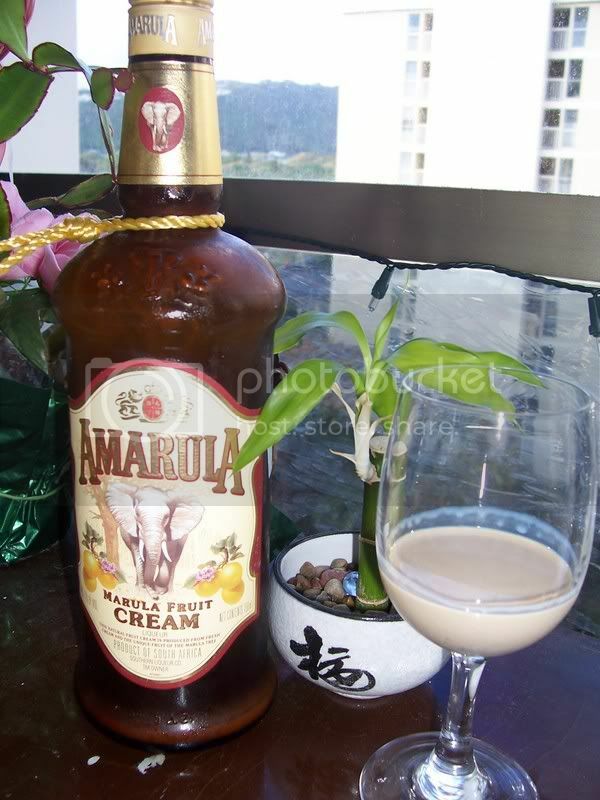 Amarula Cream liquor is a unique drink that is made from an African tree fruit called the Marula fruit. It is harvested and made into marula wine which after two years is mixed with fine cream to create this rich, succulent, and sweet aperitif. It tends to be a little pricey (selling for a little under $30 for the bottle shown), but if savored it can last you a while; this particular bottle lasted me about a year and a month. Once refrigerated it can stay good for two years and alcohol content is 17% or 34 proof. It is wonderful alone, in mixed drinks, over ice cream, and with other desserts. I definitely recommend trying this exotic treat! Take a look at this cute video that shows what happens when the wild African animals consume the fruit. It really happens! This pretty pink drink on the rocks is none other than Tequila Rose, a creamy strawberry flavored liquor. Another drink that's perfect alone, mixed, or in desserts, this is a mix of strawberry creme liquor and tequila. It tastes just like strawberry creme, and you can't even tell there is tequila in it! The alcohol content is 15% or 30 proof and it lasts awhile as well (refrigerated of course). The Tequila Rose company also has Java Cream and Cocoa Cream products as well, but I haven't tried them. 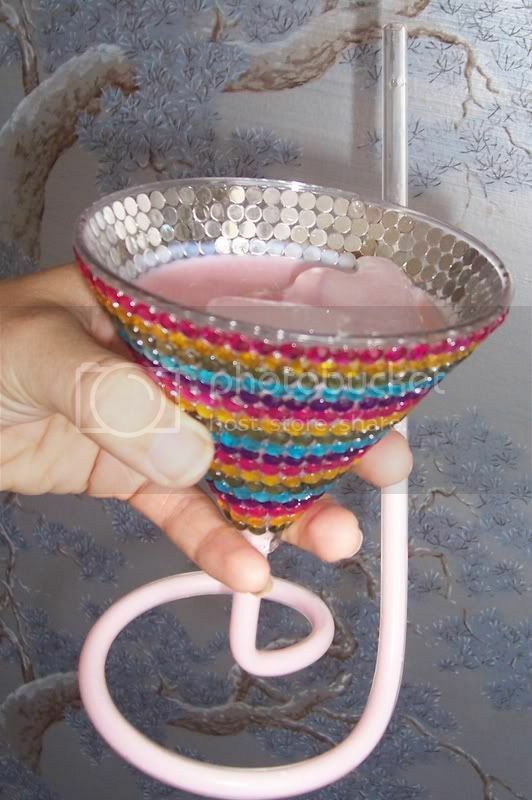 This a perfect girls night out/in drink, but my fiance can't say he doesn't enjoy it as well. For any strawberry fan, try some of this, you'll be hooked! If ever you have too many apples, just look for recipes online. 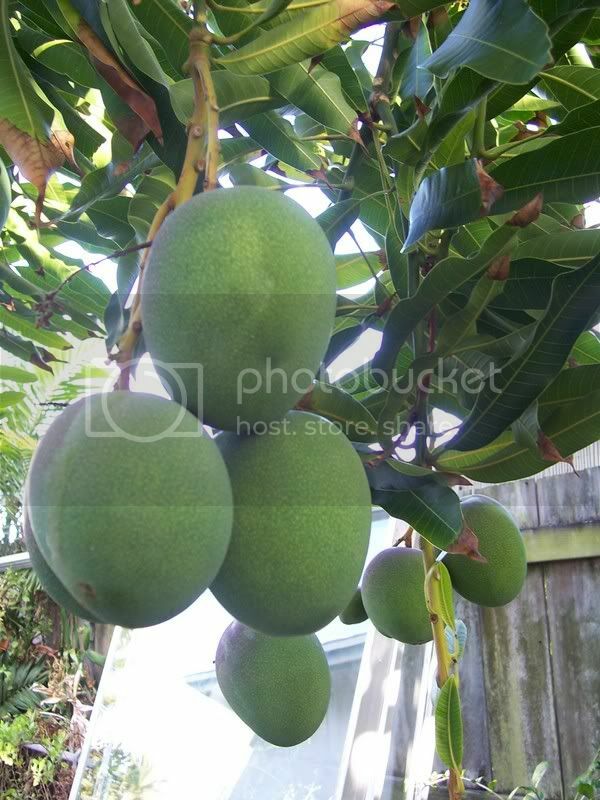 They are such a versatile fruit and bake so well! Here are a couple things that helped with my apples. 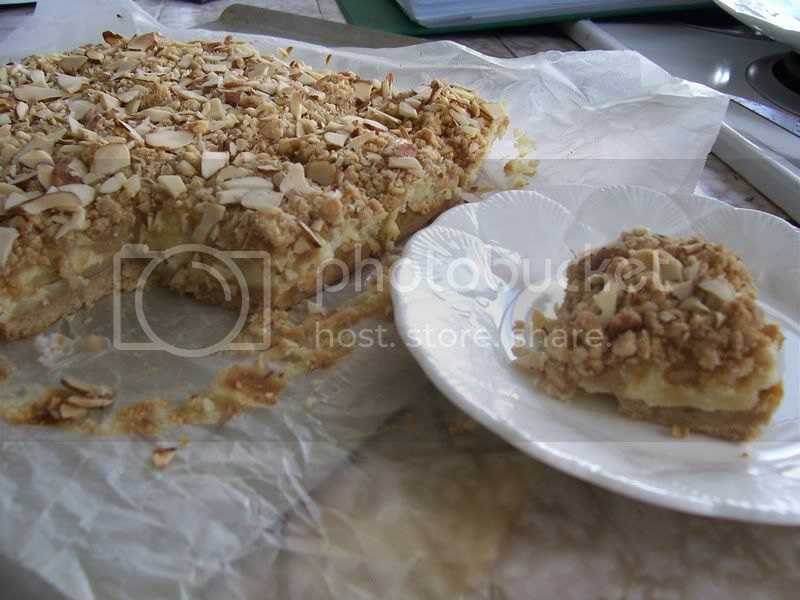 These Almond Apple Bars were something I saw on several foodie blogs and I had to try it. The bottom crust of almond flavored shortbread-like cookie was nice and crunchy and contrasted with the creamy cheese layer. I don’t think I used enough cream cheese, but it was still very good with the soft cooked apples and nutty almond topping. It was very crumbly when I cut it though and I lost a lot of the topping. You can find this recipe for apple bars at Alpine Berry's blog. This next dish, a rich apple pudding pie was first made in the fall/winter and my fiancé and I both fell in love with it. 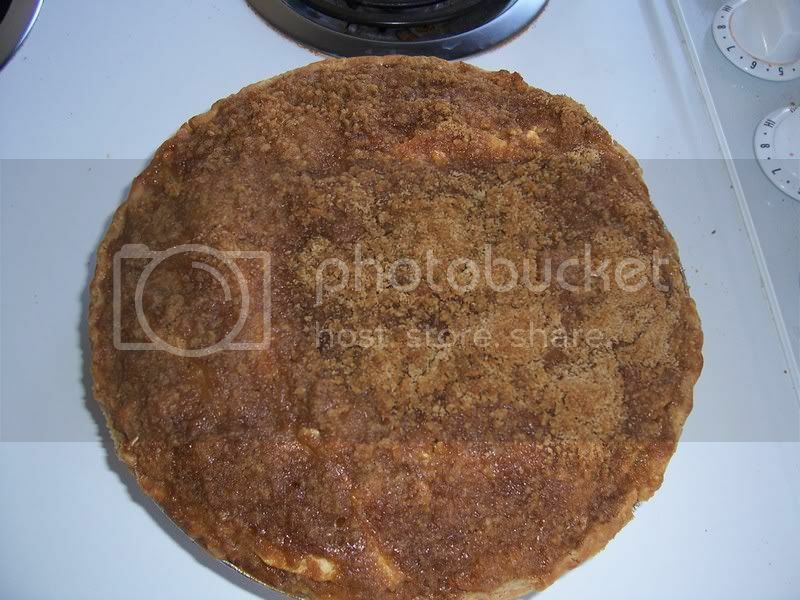 It is a mix between a streusel crumb topped apple pie and a warm bread pudding. I highly recommend this as a comfort food, but only if you have people to share it with…because I know how easy it is to consume with only three people. 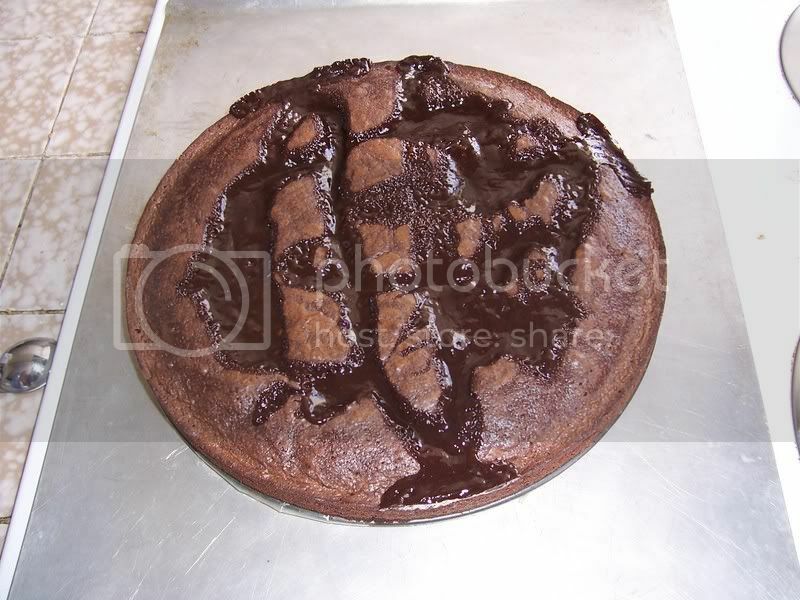 1) For crust, line unbaked pie shell with a double thickness of foil. Bake in a 450 degrees F. oven for 8 minutes. Remove foil. Bake for 4 minutes more. Remove from oven. Reduce oven temp. to 350 degrees. 2) For filling, peel, core, and slice apples. In a medium mixing bowl stir together eggs, applesauce, yogurt, granulated sugar, 1/2 cup brown sugar, oats, and cinnamon. Stir in bread and apples. Set aside. 3) For topping, in another mixing bowl stir together 1/4 cup brown sugar and flour. Cut in butter until mixture resembles coarse crumbs. Stir in nuts. Pour filling into the prepared pie crust and sprinkle topping over filling. Cover edge of crust with foil and bake for 30 minutes. 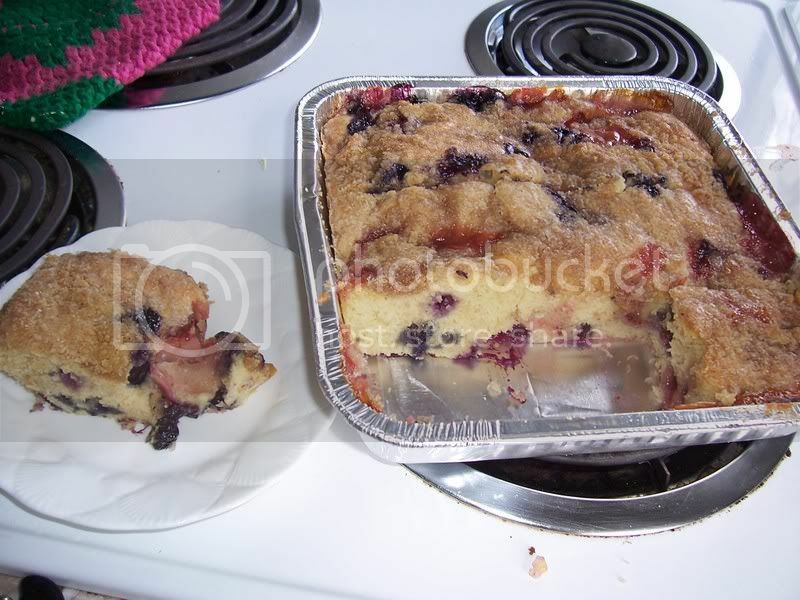 Remove foil and bake for 30 minutes more or until top is golden and fruit is tender. Serving suggestion, serve with vanilla ice cream. I am a college student in Hawaii, soon to be LA who enjoys eating, cooking, and visiting restaurants, all while learning about culinary culture. I am also trying to expand my knowledge and love for wine, after having visited Carmel Valley Wineries in Aug. '06. I also love to write and plan to minor in creative writing and a few dream jobs of mine would be working for The Food Network or The Travel Channel and getting to travel (another thing I love to do) and taste the world as a living! One challenge in this business though is keeping off the weight from all this food! 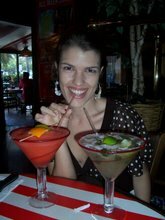 I currently work as an Elementary School tutor, and for a travel agency where I get to do some marketing and also food/restaurant reviews for their small travel website.